Stephanie's second pregnancy left her with an extra 30 pounds she just couldn't kick. Boot camp training updated her fit status! Weight gain can put pressure on more than your joints. Stephanie started to feel her self-esteem wavering from her inactivity. But what could she do? She&apos;d never been involved in athletics, weightlifting, or even basic training. With encouragement from her husband and the camaraderie of a good friend, Stephanie started a fast-paced boot camp training regimen every morning. Her results speak for themselves! She lived on a limited diet, started weight training, and transformed her body. She did so well that she now aspires to compete in figure. I started by merely working out to lose weight. I used pregnancy as an excuse to eat whatever I wanted, and I was not physically active during that time of my life. After having my second child, I gained 30 pounds that didn&apos;t go away. I knew I had to do something. I had never been athletic or even been in a real gym. I didn&apos;t know what to do and I was intimidated to get started. Most everyone experiences that worry, but I knew I had to start doing something! I spent a year in the gym doing nothing but cardio. My husband continually encouraged me to begin lifting with him. I wasn&apos;t quite there yet and had the perception that women didn&apos;t need to lift weights. I lost about 20 pounds that first year doing cardio. My weight was 140 at that time. A good friend and coworker invited me to an early-morning boot camp class. We went before work four days a week. 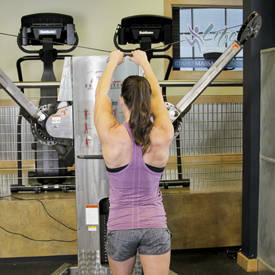 The class was fast paced, performance-based, motivating, and did incorporate weight training. I met accountability partners and had instruction and guidance by a trainer. It was amazing to start my day off with a great workout, and I felt accomplished. I began to see my body transform and take shape. I developed a passion to take fitness to another level. As a figure competitor, I train with a focus on back, legs, shoulders, and glutes. In the off-season I do little to no cardio and lift six days per week. During prep I typically do 45 minutes of interval cardio six days per week and do five days of lifting. I periodize my training by varying rep ranges from week to week. As a figure competitor, I train with a focus on back, legs, shoulders, and glutes. I eat 5-6 meals per day. I have better results eating whole, nonprocessed foods. I prep my meals in advance and utilize a local meal-prep company—which is a lifesaver for a working mom. During offseason I have one cheat meal per week and plan that around family events or special date nights. I consider proteins and greens free foods. If I get hungry, I eat more lean proteins and fresh vegetables. I eat about every three hours. I was approached by a friend suggesting I compete in a figure competition. I competed for the first time last year. I am now prepping for my third show. People often ask me why I compete. What fascinates me about fitness? With nutrition and workouts I can control my health, the way I feel, and the way I look. With nutrition and workouts I can control my health, the way I feel, and the way I look. What drives me to get better? Bodybuilding has not only increased my physical strength but also my mental strength and confidence. That confidence and strength goes with me outside of the gym, into all areas of life. My main source of motivation comes from within. As a wife, mother, and health care professional I have a responsibility to be a healthy role model for my family and the community. I frequent Bodybuilding.com and will look up workouts from my favorite pros, Erin Stern and Jessie Hilgenberg. They have great print-and-go workouts and I love the videos that go with the workouts! I use my fitness friends to inspire me. I have met some of the most motivating and inspiring people through fitness; they are lifelong friends. I recruit my husband or a friend to push me through a workout when I feel tired or unmotivated. My desire in fitness is to inspire, motivate, and encourage others. 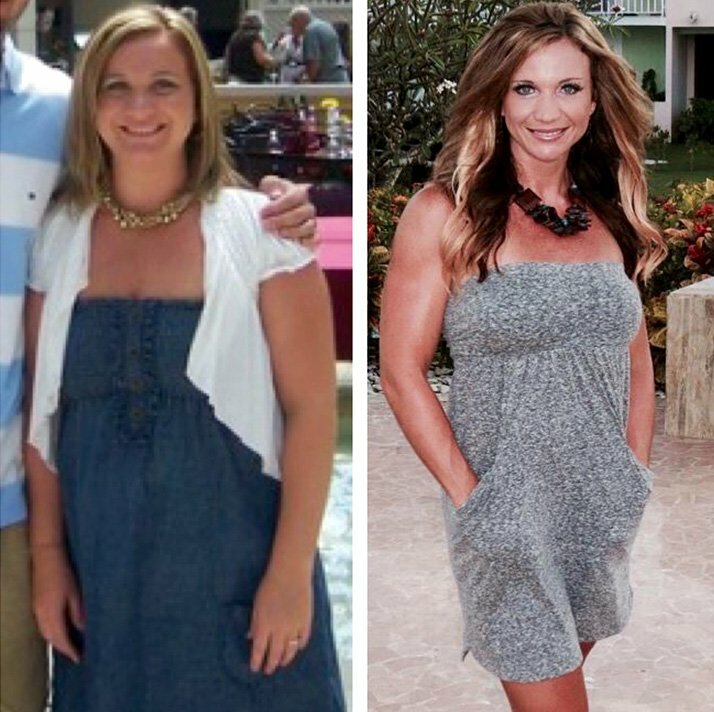 I love to help and watch others transform their bodies and improve their health. I plan to continue competing and see where that road may lead. I have learned so much in just two shows, I hope to be a positive influence to other rookie competitors, as I have some amazing figure mentors. I have learned so much in just two shows, I hope to be a positive influence to other rookie competitors, as I have some amazing figure mentors. Competing and following such a strict regimen is not for the mentally weak. I hope to show that it is possible to compete without comparing yourself to others and becoming obsessed with everything you eat. It&apos;s all about a healthy balance. Be patient! It takes time to develop the body of your dreams. There is no one-size-fits-all nutrition or workout plan. It takes time to find out what type of training and diet will give you the best results. Erin Stern is my favorite. I love her physique and training style. I use BodySpace to network with others. I follow Bodybuilding.com and multiple Bodybuiding.com athletes on Instagram and Facebook for motivation, workouts, and fitness articles. "That&apos;s My Kind of Night"